Imagine my surprise a few years ago when I learned that one of the major characters in this film, General Waverly, was a Wabash man! 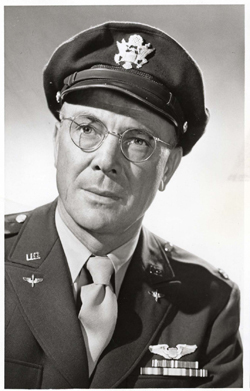 Dean Jagger was born in Lima, Ohio in 1903. He was raised on a farm not farm from Fort Wayne, Indiana. He graduated from high school at a very young age, attended a Normal School (teacher’s college) and was granted a license to teach students up to eighth grade. At the age of 22, Jagger enrolled at Wabash where he joined the Lambda Chi Alpha fraternity. In 1927 Jagger heard about an acting school in Chicago and took off to follow his dreams. Jagger spent some time doing theater with a players group from Michigan, then landed in New York. In 1929 he made his first movie, “Woman from Hell” at the Fox Studios, which was the last silent picture made in Hollywood. It was in the mid 30’s that Jagger hit his stride as a character actor. From 1934 to 1937 Jagger appeared in 20 movies, including one that would be a big hit with many of our students today, “Revolt of the Zombies“. In 1949 Jagger won the “Best Supporting Actor” Oscar for his role in “12 o’clock High” and in 1958 played Elvis Presley’s father in the movie “King Creole“. All in all Jagger appeared in nearly 80 films and dozens of television shows as well. But it was his portrayal of Brigham Young in the bio pic of the same name that may have had the most impact on his personal life. When the movie premiered, the president of the Church of the Latter Day Saints praised Jagger for his portrayal of the Mormon leader. This began a friendship and in 1972 Jagger was baptized into the LDS church. It was through this connection that Jagger’s papers and movie memorabilia went to the Lee Library at Brigham Young University. While researching a query, I came across this interesting snippet from the Wabash alumni magazine of the 1920’s and thought it might be fun to share it. 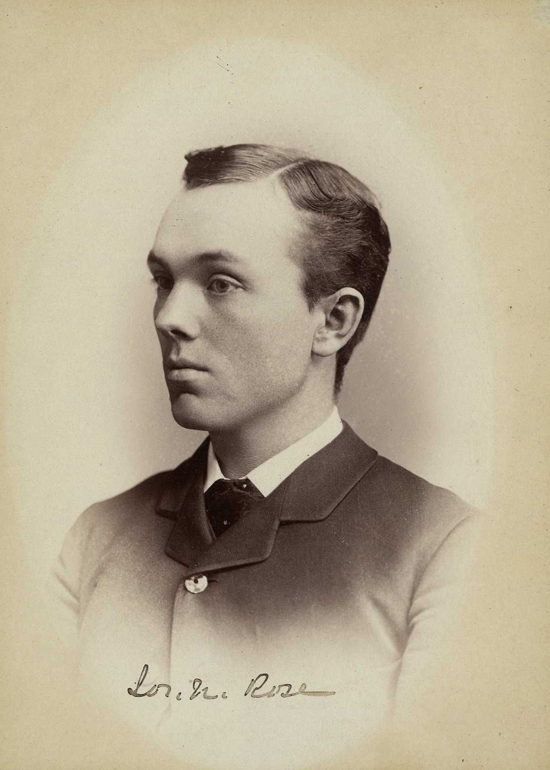 The photograph below is the senior photo of Joseph Nelson Rose [W1885] the first president of the Washington Association. “The Washington Chapter of Wabash Men was organized at a luncheon held January 31, 1921, in the private dining room of the Cosmos Club, Washington, D.C. Cordial fellowship and quiet dignity distinguished the meeting, not even one “Yea Wabash” being given. But this lack was more than counterbalanced by the deep meaning of “Alma Mater,” which seemed to hover like a good spirit over the board. Twenty men attended, including Martin A. Morrison, president of the Civil Service Commission, who is not a Wabash man, but whose son is a graduate of the college. Dr. J,N. Rose, ’85, of the New National Museum (Smithsonian), and international authority on the cactus, opened the meeting as chairman of the committee on arrangements. Vice President Thomas Riley Marshall, ’73, was made chairman of the meeting. Mr. Marshall said that he hoped in prosecuting the Wabash endowment fund Wabash College will never forget her old traditions. Dr. George Mackintosh, president of Wabash, in briefly explaining to the Washington Alumni the objects of the movement, took occasion to state the ancient traditions of government, the tradition of sound learning and the ancient faith, will ever be the principles of Wabash College, and the endowment fund will in no way mitigate against them. Dr. Mackintosh then suggested that a Wabash association be formed. Upon motion of Vice President Marshall those present resolved themselves in to the Wabash Chapter of Wabash Men, which name met with the approval of Dr. Mackintosh. Vice President Marshall was elected honorary president of the chapter. Dr. Rose was elected president, and Charles E. Tracewell, ’13, secretary-treasurer. The meeting adjourned at 3 o’clock, but not until all had expressed their opinion that the meeting was the finest of its kind ever held in the National Capital, and the determination to keep the organization alive, now that it is formed after so many years….” 03/1921 Wabash Record-Bulletin. The Washington association is still alive and meeting on a regular basis, although it is now known as the National Capital Association of Wabash Men and serves as a reminder of the many other alums who have lived and worked in D.C. Established a young ladies’ seminary at Madison, Indiana. Twining taught mathematics, natural philosophy and astronomy at Wabash. Strongly abolitionist, Twining led the faculty on this issue. In part, through his influence, Wabash moved ever closer to those Presbyterians who were directly involved in abolitionism. In 1854 Twining resigned his position to pursue work with the Underground Railroad. He settled in Missouri, a slave state where he continued his dangerous work. A successful minister at an elite church in New York City, Baldwin responded to Hovey’s plea and in 1835 came to the West to head this new college. Baldwin was much loved by his students and a significant asset in fund raising. He taught philosophy and political economy. Following a fund raising trip to northern Indiana in 1841, Baldwin became ill and died suddenly. Aspromised, another post on Crawfordsville’s most famous author. 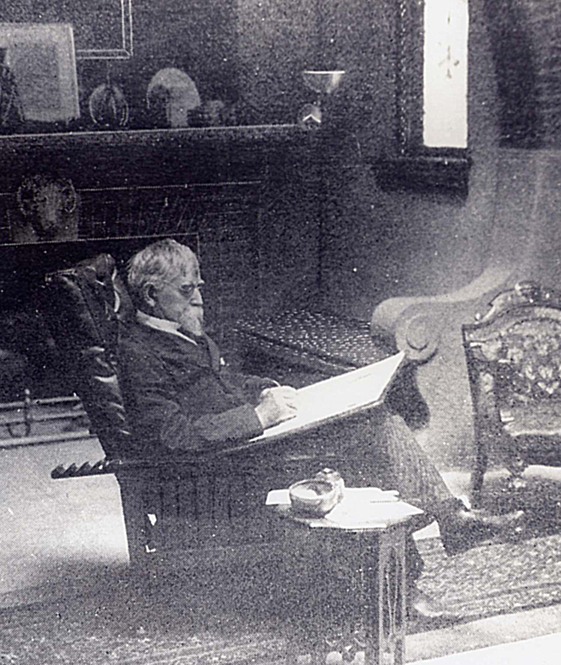 This is an image of Lew Wallace in front of the fireplace of his new study here in town. At this point in his life, Lew was doing very well. He had made a mint off of his book “Ben Hur” and had made arrangements to have it made into a play – which also increased the revenues to the author. But before this pleasant ending that we see pictured, let’s take a deeper look at the life of this man. 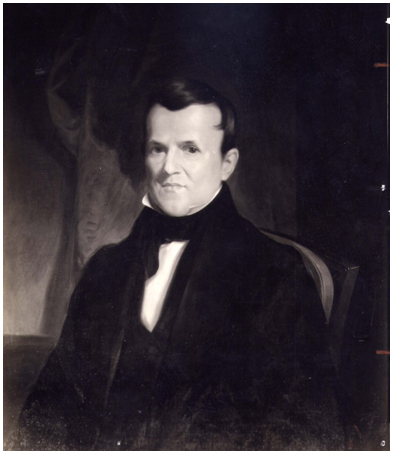 Although Lewis Wallace was the son of the governor of Indiana, there was little reason to suppose that he would, or even could, become a leader and a well to do man of business and letters. Lew’s father was not the only observer of his life that wondered if he would ever make anything out of himself. When Lew met Susan Elston at the home of her sister Joanna Elston Lane, he saw the love of his life. Over fifty years later Lew would clearly remember every detail of that evening and the lovely Miss Elston. Yet Susan’s family was more than a little skeptical that this young man would ever amount to much. In Lew they saw a hopeless romantic, a fellow who was not quite up to their standards of earthly ambition. The Elston family was, without a doubt, one of the richest in the state of Indiana. With investments in land, mills, railroads and banking, the Elstons were very well off indeed. Susan’s father was a tough old pioneer who had made his fortune by sheer hard work coupled with a cunning business sense. In the end Lew Wallace’s life shines out to us across the ages. The author of the worldwide bestseller will long be remembered. I believe that by any measure, Wallace made a good life for himself, Susan and their son. Certainly he was successful in monetary terms and his Study lives on as a monument to that good life.